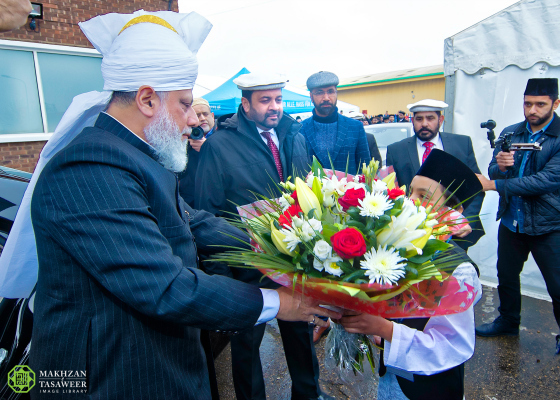 Hazrat Mirza Masroor Ahmad inaugurates the Baitul Ehsan Mosque. The Ahmadiyya Muslim Community is pleased to announce that on 7 January 2017, the World Head of the Ahmadiyya Muslim Community, the Fifth Khalifa (Caliph), His Holiness, Hazrat Mirza Masroor Ahmad inaugurated the Baitul Ehsan Mosque in Mitcham, London. 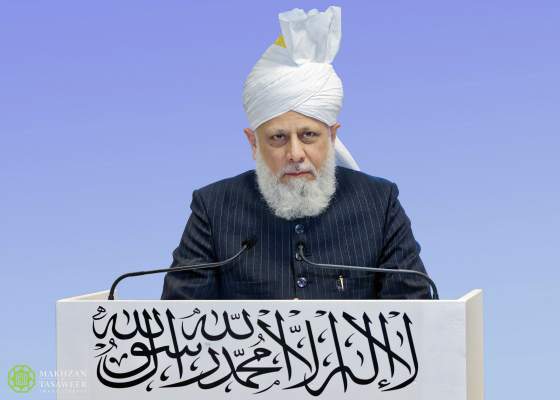 His Holiness then delivered an address to the local Ahmadi Muslims gathered at the event. After his address, His Holiness led the Zuhr and Asr prayers at the Mosque and inspected various facilities of the Mosque. In addition to the prayer halls, the five-story building holds conference rooms, offices and various other facilities. 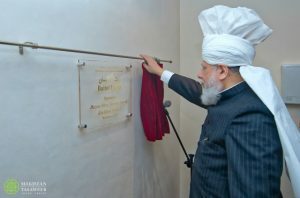 Share the post "Head of the Ahmadiyya Muslim Community Inaugurates New Mosque in Mitcham, London"